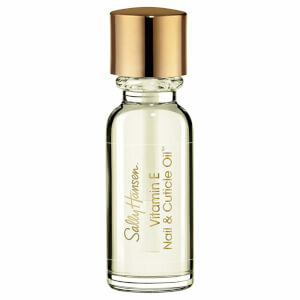 Since using this oil my cuticles and skin around my nails has improved dramatically. Recently bought some for my husband who suffers from very sore split fingers. He is impressed by the improvement and uses it every night before bed. He has even stopped complaining how sore his fingers are! I have been using Phenomen Oil for many years which I find excellent.It feeds the cuticles as well as softening them so no dry skin around the nail. Look Fantastic is the cheapest I have found and the service quick. I have only one criticism that it isn't necessary for bulky packaging.A Jiffy bag would be adequate and cheaper to post.Thankyou. 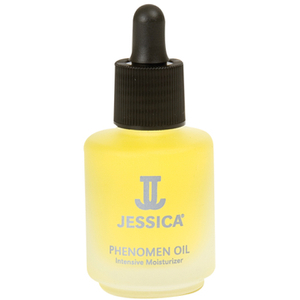 I have been using this for 10 years, I've tried others but Jessica phenomen oil is the best. Jessica Phenomen Oil Intensive Moisturiser is better than any other product I have used. This Jessica Phenomen Oil Intensive Moisturiser is an excellent product. Originally recommended by my nail therapist I now use this regularly day and night. Really helps to nourish cuticles and has provided improved nail growth and strength. Nails look much healthier and more flexible so less inclined to split and break. I regularly use this product and so I like to order on line as and when needed. I do find it to be a good product - soothing and healing. This Jessica Phenomen Oil Intensive Moisturiser smells great, it's not greasy but it is not a magic potion. I have been using it for a few days and I haven't noticed the difference I was expecting after reading other reviews. It is just an ordinary product in my opinion.